What's on Netflix > Netflix News > Will Alita: Battle Angel be coming to Netflix? Will Alita: Battle Angel be coming to Netflix? Alita: Battle Angel is the biggest 20th Century Fox release in recent memory. The CGI heavy comes from the team behind Avatar and it shows. Will Alita: Battle Angel be coming to Netflix? The answer depends on where you live. The movie has some heavy hitters behind it with Robert Rodriguez directing and James Cameron and Laeta Kalogridis both writing. On the acting side, you’ve got Rosa Salazar, Christopher Waltz, and Jennifer Connelly all appearing. The story is focused on a young woman who is not like others in the world as she’s part human, part android but more importantly, a total badass. The movie is due for release in cinemas on Valentine’s day which lands on February 14th. Will Alita: Battle Angel be on Netflix in the United States? Much like some of the other 20th Century Fox titles, it won’t be coming to Netflix, at least not straight away. That’s because HBO currently has an output deal with 20th Century Fox. That’s currently set to last until 2022 but even after that date, we’re not expecting Netflix to get a hold of it. That’s because Disney has no bought up Fox so it’s likely that it’ll switch to Disney’s streaming service instead. Netflix hasn’t managed to acquire any of 20th Century Fox’s content outside of its animated content either in recent years. Fox tends to add its content to FXNow and Fox soon after its time on HBO is up. Netflix’s DVD service in the US, on the other hand, will be picking it up. As of right now, it’s DVD/Bluray release is expected to be in May 2019. 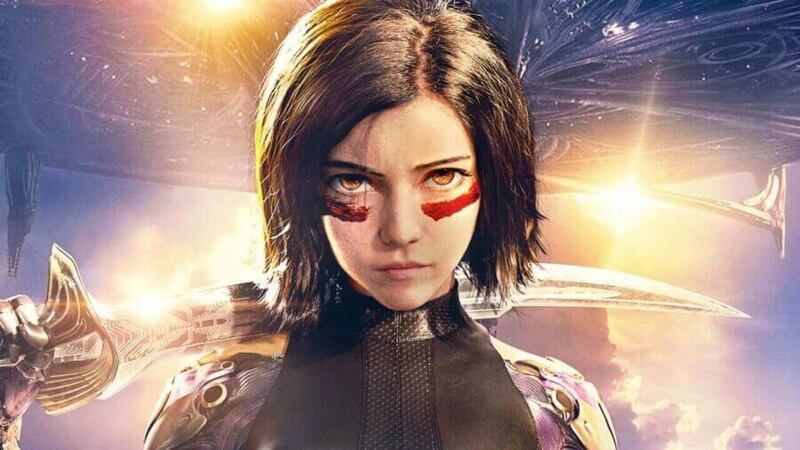 Will Alita: Battle Angel be on Netflix in other regions? Over in the United Kingdom, Sky currently has the same deal with Fox, which makes sense given the two companies are entwined. But that’s only on a first come basis. After around 18 months the license is then freed up and more often than not, Netflix does pick up the title. That means we’re currently expecting Alita to be on Netflix in the UK sometime in 2021 or 2022. Sadly, no other Netflix region is picking up 20th Century Fox movies at present. Will you be heading out to watch Alita in the cinema this valentine? Let us know in the comments. Next story When Will Season 9 of The Walking Dead Be On Netflix? Previous story Always A Witch Season 2: Will Netflix renew for another season?